Essential reads for any science teacher – the best of the best! The books below have played an invaluable role in shaping my thinking about science education and education in general. I hope they are useful to you too! This classic text was my bread and butter when I was doing my PGCE, then edited by the fabulous Jenny Frost. 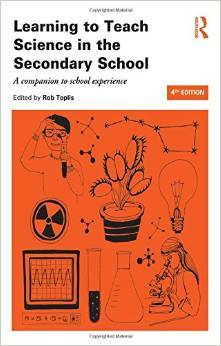 The new edition is an indispensable guide with a fresh approach to the process, practice and reality of teaching and learning science in a secondary school. There are also lots of references to the literature if you wish to dig a little deeper. 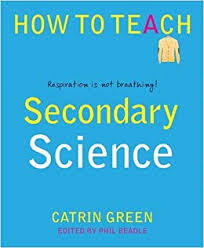 Respiration is Not Breathing is a book filled to the brim with lots of engaging teaching ideas that can be easily implemented in the secondary science classroom. This is a how to guide for science teachers and there are also some excellent links to up-to-date further reading for those who want to understand more of the ‘why’. I found the chapters on practical work and the science curriculum especially useful in offering up a fresh perspective. 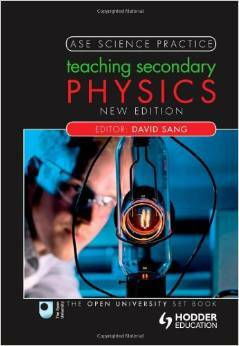 Teaching secondary physics 2nd edition ASE science practice*. David Sang. *Editions also available for Biology and Chemistry too. These brilliant books from the ASE provide real clarity on how to start teaching the key ideas in Physics, Biology and Chemistry. 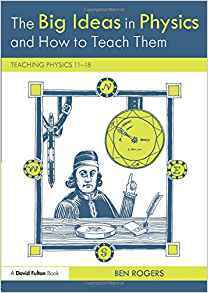 Chapters highlight common misconceptions, suggest demonstrations and class practicals and propose teaching sequences for each topic. A must read before you begin teaching any new topic! 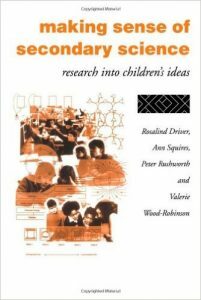 Making sense of secondary science: Research into Children’s ideas. Rosalind Driver, Anne Squires, Peter Rushworth and Valerie Wood-Robinson. This is an excellent book that is easy to read/dip into and reviews some of the key prior conceptions students have about core topics in science education. Any teacher will benefit from reading the relevant chapter before they embark on planning and teaching a new topic. I think this is the best of the Driver misconception books. Ben does a great job of taking us through the fascinating history and pedagogy of five big ides of physics. The book starts with an excellent introduction to the ideas of cognitive science, exploring how we learn new ideas. Thereafter, each chapter explores the history of one big idea, finishing with an example lesson plan and student activities so that we can see what great looks like; after all, we learn through examples! 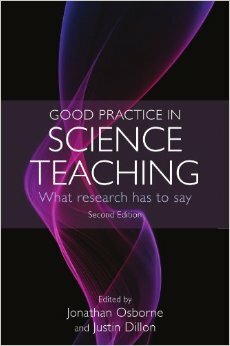 This book summarises the key areas of research and scholarship in science education. 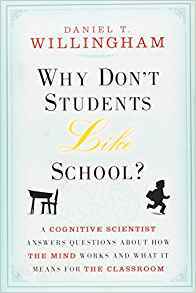 Well written and very accessible – I use this a lot when trying to find evidence to identify what works and why in the science classroom. 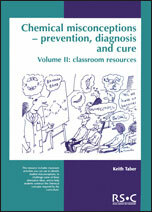 This excellent book from the RSC provides some easy to use resources to prevent, diagnose and remedy some chemical misconceptions. This book is a great starting point when planning your chemistry lessons. This book provides a useful summary of research into language and literacy in science education. Some of the ideas are a little dated now e.g. learning styles but the majority of chapters give a lot of food for thought. Definitely worth a read if you are interested in the language of science. This book is essential reading. It helps you to understand, from a cognitive science perspective, why the things that you know to work in the classroom actually do. It will give you a fresh, theoretical perspective, to think about how students learn, and most importantly, will guide you on how to teach and plan better science lessons! 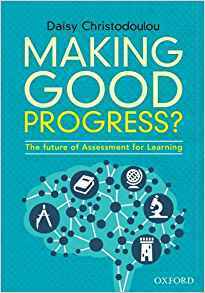 This book will help you to understand the true nature of assessment. What are the aims of assessment? What are the differences between summative and formative assessment and why do these differences matter to teachers? Daisy Christodoulou does a really fantastic job of dispelling assessment myths and gets to the heart of why good assessment matters in schools. 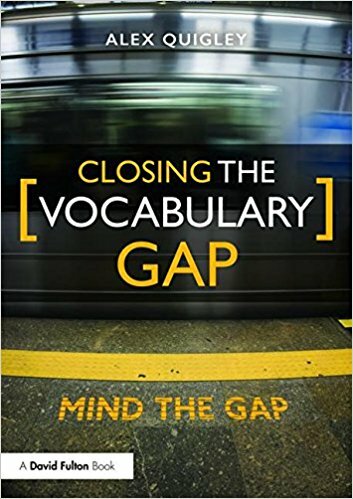 This book provides a clear rationale as to why it’s absolutely critical that we explicitly teach vocabulary in all lessons, not just English. Each chapter outlines the important knoweldge teachers need to know about reading and vocabulary and there are accompanying ideas and techniques to try in the classroom. If you want your students to make meaning from words on a page, then this book is for you!